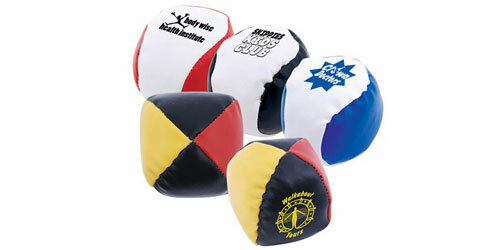 Juggling balls bring a combination of fun, fitness and are a great promotional tool. They are made from high quality materials that give you maximum performance to enjoy in team building exercises, opens days, exhibitions and events. We offer a range of colours to choose from. The juggling balls can be used by your customers or staff to use with their family and friends. This unique promotional tool will ensure that your business stands out from the rest. If you need assistance to decide on the colour to match your brand, we have an enthusiastic team specialising in consulting you. The print size is up to 27mm in diameter and will show your brand attractively and clearly. TEKSOFTPRINT, Perth, with modern equipment and experienced staff are sure to bring to you the highest quality promotional products at an affordable price. Come experience our professional printing service and leave with satisfaction.